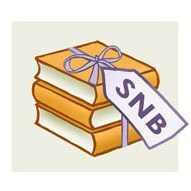 Issue 11 of Shiny New Books, the online magazine for book lovers, was published today. As usual, you can expect lots of tempting book reviews as well as some other fascinating features and discussions. I was happy to provide a review of The Revelations of Carey Ravine by Debra Daley for this edition. 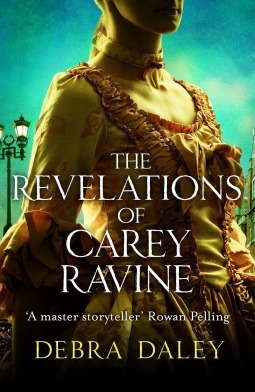 There was always a good chance that I was going to love The Revelations of Carey Ravine. A book which has been compared with “Sarah Waters, Amitav Ghosh’s The Sea of Poppies, and Jamaica Inn” sounded perfect for me…and it was. Set in 1770s London, this is a dark tale of deception and betrayal in which nothing is as it seems. Our guide through all of this is Carey Ravine, an intelligent and spirited woman with an interesting past. You can read more of my thoughts on this wonderful book here – and don’t forget to explore the rest of the new issue! I enjoyed your review. Now I want to read this book even more. The reference to Jamaica Inn has me intrigued as it is one of my favourite du Maurier novels. Any book compared to this has my interest. Bumping TRCD up my TBR list. I think the Jamaica Inn similarity is more in the atmosphere rather than the story itself, but yes, I thought it was a great book and worth moving up the TBR! The subject matter is what draws me to this book. And your excellent review, of course! It’s a fascinating story. I hope you get an opportunity to read it. I like historical fiction set in England, and the mood of Jamaica Inn is a great recommendation. It’s a great book – and very atmospheric. I loved it!